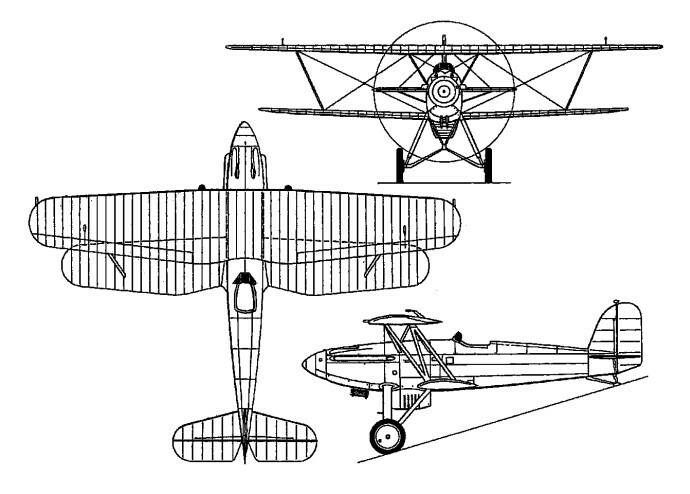 The D.XVII was the last biplane to be built by Fokker, and the first design to be executed under the guidance of Mr Beeling. 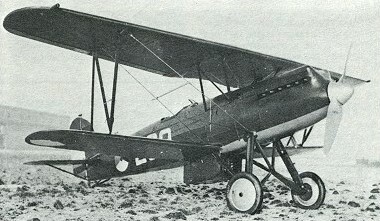 The first flight in 1931 of another D.XVI prototype, fitted with a Curtiss Conqueror V-1570 engine, was with the object of finding a D.VII replacement for the Dutch East Indies army air service, but no orders were forth-coming. In 1932 it reappeared, with some modifications, as a new prototype designated D.XVII. With a number of aerodynamic refinements while retaining the basic structure of the earlier fighter and its armament of two 7.92mm M.36 machine guns, ten production examples were ordered by the LVA. The 595 hp Rolls-Royce Kestrel IIS 12-cylinder liquid-cooled engine was selected as the standard power plant and deliveries commencing in October 1932. The ninth and tenth aircraft were respectively and temporarily powered by the 790hp Lorraine-Dietrich Petrel 12Hfrs and the 690-hp Hispano-Suiza 12Xbrs, both eventually reverting to standard Kestrel-engined configuration. The Conqueror-engined prototype was shipped to the Netherlands East Indies for KNIL evaluation, being shipped back to Holland in 1936 after a crash, and then being rebuilt and delivered to the LVA. Relegated to the fighter training role prior to World War II, the seven surviving D XVII fighters saw some limited operational use during the Wehrmacht invasion of the Netherlands.